This 5th grade book is, by a little bit, our largest one. It clocks in at over 900 pages. This is partially because the older students need more engaging activities and more involved resources. We have some serious games in this book that can make for great centers or even whole-class reviews and nice filler activities for 15-45 minutes here and there on those weird schedule days. Yes, we know you’ll use some of these activities during your core instruction or for supplementation, but how about some games for the whole class? Those 5th graders get competitive! How about breaking the class into teams or having some group challenges for some of this? Flip-A-Chip: We have some activities on matching idioms to their meanings that could easily be a great team challenge. This activity has 2 modes to help teach figurative language and vocabulary. Tweeter: Students practice adding details and summarizing in this cute version of the popular online messaging site. Monster Mingo: a multiplication bingo game! It’s PBJ Time! : Practice your fractions with this game! And this is just the tip of the iceberg, folks. Don’t forget we have an activity for EVERY language and math standard, as well as graphic organizers, worksheets, and other resources that support learning those standards. 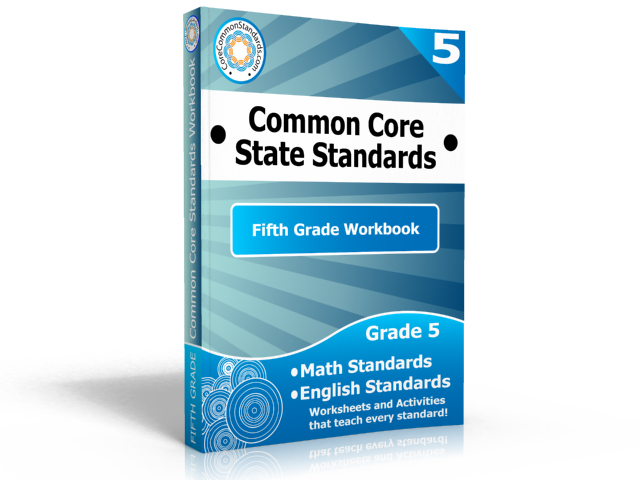 For more ideas, take a look at our free previews of the Fifth Grade Common Core Workbook to find things that you can use in your room in your own particular style. Every teacher has their own way of doing things, and we just want to support you! Hopefully it’s an adventure for everyone involved.